With Batman-like zeal, the SEC swooped in and closed down the multi-level marketing company, Zeek Rewards. Should we all feel safer now? Or should we be wondering why the SEC singled out this one MLM but left all the hundreds of others to run rampant? Zeek offered MLM participants the chance to participate in money saving on-line auctions of consumer products. As in all other MLMs, without the hallmark pyramid-reward scheme, it is doubtful that anyone would ever buy the “product” of a penny auction, and pay other membership costs. Nevertheless, this fraud operated with impunity and managed to lure in a million people under the umbrella of MLM’s unfounded presumption of legality by regulators and the self-serving lobbying and propaganda of the Direct Selling Association. Zeek Rewards, like very other MLM on earth, claimed to be “perfectly legal”. It even employed the best known MLM lawyer in America, Kevin Grimes, to conduct a “Compliance Test” that all the Zeek participants had to pass. Zeek and Grimes led the recruits to believe that the only way the company would be illegal is if they the participants, broke the law. In other words Grimes helped convince the public that Zeek was so legal it went an extra mile to prevent greedy or untrained consumers from jeopardizing the company’s upright and ethical status.Grimes used to be the in-house attorney for the MLM company, Melaleuca. He counts among his MLM clients the industry stalwarts such as Herbalife, Take Shape for Life (Medifast), Usana and Donald Trump’s “Trump Network.” He claims to help MLMs operate “legally.” Since the SEC brought charges against his fast-growing client, ZeekRewards, Grimes makes no mention of Zeek Rewards on his website. The SEC appears to think Zeek is unusual partly because it grew to $600 million in revenue and one million participants in only a year and a half. Actually, as anyone knows who watches the MLM “industry,” lot’s of other MLMs have achieved such fast growth and many claim they will achieve future growth at similar rates. Inexplicably fast growth is a hallmark of pyramid selling schemes. Nu Skin promoters, for example, routinely tell recruits that Nu Skin will reach $5 Billion by 2020. That would mean an increase of $460 million every year for the next eight years! In MLM world, this is considered normal, regardless of global or national economic conditions. Since MLMs harness the power of “exponential expansion” that is “unlimited,” fast growth is the norm and can continue for some time — as long as new territory and new recruits can be found. The SEC appears not to understand this. Is the SEC saying that a pyramid matrix is illegal? If so, then virtually all MLMs should be prosecuted. The “2X5 forced-fill matrix” is boiler-plate MLM “binary” pay plan. All MLMs require a qualifying purchase levels to earn “bonuses”. And the bonuses grow “exponentially” by an expanding matrix of recruits. Hundreds of them also require the recruitment of two other participants to qualify, often called the “right leg and the left leg” and, after that, the recruitment is done by others who continue the one-recruits-two program, forever. All of MLMs make a promise of unlimited expansion, even though, an “each recruits two” plan could only go 32 levels before the entire earth’s population would be in the MLM. And, in all cases, the money for those “bonuses” is gained from the payments of new participants. The bonus payments come directly from the purchases, not sales, of new recruits. So, how is Zeek Rewards special? Zeek was based in North Carolina. North Carolina has one of the nation’s toughest anti-pyramid statutes. The wording of the law appears to clearly outlaw MLMs that are based on transferring the participants’ money, rather that paying commission on retail sales. Nevertheless, in recent years, North Carolina appears to have become a safe harbor for such schemes.North Carolina is home to some of Amway’s top gun recruiters, who have been repeatedly sued by downline consumers for pyramid fraud. North Carolina is the headquarters of the Donald Trump-promoted MLM scheme, ACN, which was prosecuted by state regulators in Montana and by regulators in Canada and Australia, for operating a pyramid. ACN even got $600,000 in tax subsidies to move to Concord, North Carolina. North Carolina also hosted the MLM company, International Heritage (IHI), that was also prosecuted by the SEC about 12 years ago. Back then, NC was active in prosecuting that company and others like it. IHI’s president later went to prison for fraud. In other words, unless Zeek continuously brought in new investors — participants — the payments to the earlier recruits would cease because the new recruits are the source of the payments, not retail sales to retail customers. Gee, Batman, this sounds just like Amway or Nu Skin or Herbalife, doesn’t it? Those companies have all told investors or the Wall Street Journal that they cannot directly verify retail sales levels by their distributors. Top distributors of those schemes gain all their “bonus” payments from the purchases and fee payments of new recruits. 50-80% of their recruits quit each year so, unless they recruit new ones each year, they will “collapse” just like Zeek would. But the SEC seems to see Zeek as special in this way. See if this Welcome notice from Zeek to a new recruit doesn’t sound just like hundreds of other MLMs? Welcome to the Opportunity of your Lifetime!! 1. Upgrade to a Premium Subscription – Purchase a Silver, Gold or Diamond subscription and unleash the power of Profit Sharing, automatically achieve rank (once you qualify) and start earning immediately in our 2×5 forced expandable matrix. 2. Buy Zeek Sample Bids to give to your potential customers – Whether you get started with a $10 or $10k purchase…you’ll be glad you did. 3. Join the 5cc – The 5cc is the 5 Customer Co-operative. 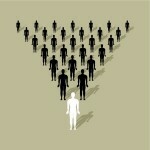 You will receive your place in line for 5 company-acquired customers through www.zeekler.com for only $10! Ensure your growth with the 5cc. 4. Post one free classified Zeekler ad every day (go to Advertising Options in your ZeekRewards back office) — and your ad work is DONE! 5. Get our powerful tools working for you!! and watch your business SOAR!! ✓ Pay more to make more. Standard MLM. ✓ Buy products and give them away. Standard. ✓ Join a special program to get more recruits. Standard. ✓ “Post an ad” is equivalent to “make a few retail sales” (to make the scheme appear to be a “business”) and is standard in recruitment-based MLMs. ✓ And then buy into the marketing “tools” to be “successful”. Classic MLM. But, there is one difference and perhaps this is where ZeekReward waved one red flag too many in front of the SEC. Zeek paid recruits in points, supposedly redeemable in dollars, but it persuaded many recruits to let their points sit in the account and grow. In other words, Zeek led people to think that their “earnings” were vested like owning a share of stock. It led them to believe that current payment rates would continue indefinitely, so they could project future value. In fact, the payments depended upon future enrollments and payments by new participants. The money for MLM payments, as in Zeek, come from new recruits, not their customers. The last person to join is told to look upward at the big payments being made to “upline” champions who are said to be earning millions. This could be you! they are told. Anyone can do it! Just keep buying (to qualify) and recruit, recruit, recruit. What the new recruit does not know or understand is that for him/her to make millions also, they all have to build an equally large downline below them. With hundreds of thousands joining at the bottom of the chain, and all of them being told they each need to add thousands more below them, the income promise is a monstrous lie, just like Zeek’s. But, because there is no “accruing” points or promise “compounding earnings” the SEC apparently never takes notice. The SEC rightfully foresaw that Zeek could not pay its members if many of them asked to redeem their points for cash all at once. And the SEC rightfully noted that Zeek deceptively called its payments to earlier recruits “profits”. Payments required unsustainable expansion and the “profits” were based only on investments, not sales. But, this does not make Zeek special. MLMs do not earn profits either. Not any of the distributors are profitable from retail sales to end-users. Many make no retail sales at all. And, those distributors at the top that the company calls “profitable” from purchases of their downlines, are only making money from the others’ lost investments. This is a money transfer, not profits. In all, 99% of the recruits will spend more than they gain. Interestingly, when the government of the UK recently sought to close Amway down in that country, its research showed that over a 30-year period, 99% of all UK participants lost money in Amway and the Amway UK subsidiary itself also lost money every year. The business ran on cash flow from new recruits, not profit from sales. Similarly, the income and profits claimed by MLMs are not sustainable because they depend on continuous inflow of recruits’ investment funds. They do not, however, collapse suddenly, as the SEC predicted Zeek would. Instead, they collapse continuously. 50-80% of all recruits and customers quit each year and must be replaced. The typical MLM schemes, therefore, collapse every year, and rebuild – as long as they can find new recruits and new territories. The SEC somehow does not see this as deceptive and harmful, even though just as many people lose their investments in other MLMs as in Zeek.